Mumbai, November 6, 2014: Women’s team from MMK College were finally beaten on Day 10 of Premier League of Indian College Basketball League, organized by organized by Basketball Federation of India (BFI) in Khalsa College, Matunga on Thursday. St. Xavier’s team staged a turnaround in the situation thanks to Larissa’s 19 points as MMK women were beaten 49-42. Earlier women from VJTI College lost to SIES 2-22 in a one-sided affair. In the men’s category, Jhunjhunwala College played two matches and beat both their opponents. 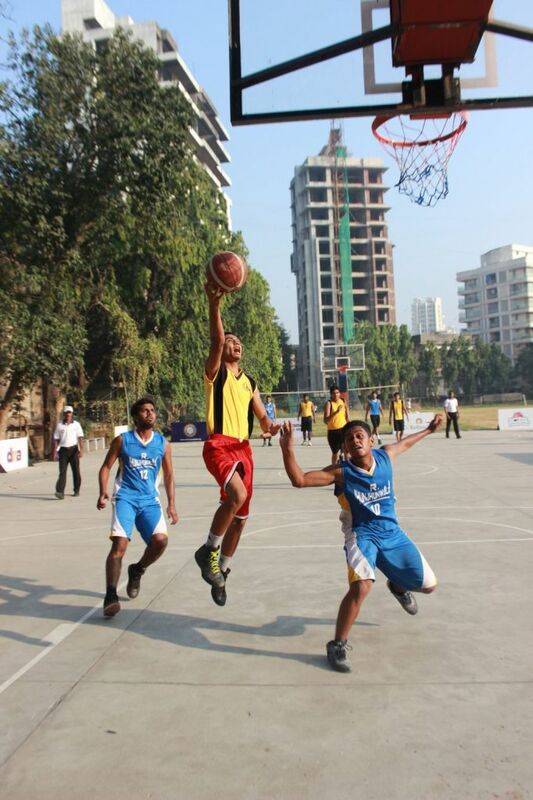 They first beat hosts Khalsa 41-32 and then Podar 48-32 in the last match of the day.